Winter is still hanging on for dear abandon here on the east coast of the United States, and we’re desperate for more Spring than the snow covered crocuses on our lawns can give us. In tims like these, we usually turn to music for help. 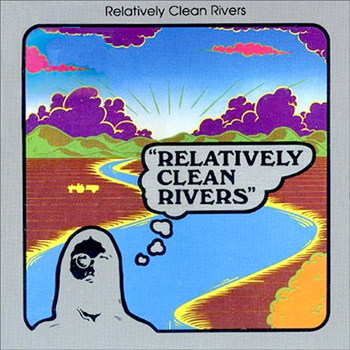 The best way to summon a bit of summer that we’ve found is to close your eyes and blast the “Relatively Clean Rivers” LP from 1975. Once a private press psychedelic holy grail that only the shady underground rare record cabal had access to, Relatively Clean Rivers is now widely available after some legitimate reissuing. It’s breezy, rural psych rock with some poppy elements and an atmosphere that makes you feel like you’re walking back from the beach, skin sticky with salt air, after a day of doing absolutely nothing but soaking up sunshine. Remember those days? This LP can help you if you’ve forgotten what they were like.